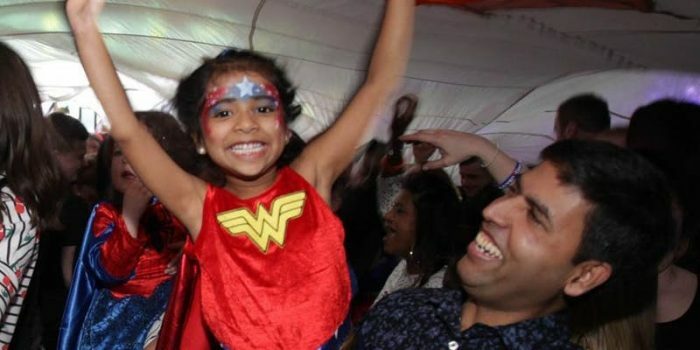 We return to to Southampton in a NEW VENUE – the excellent Rebel, to celebrate Superhero Mums everywhere! And to boot, it’s a UK GARAGE SPECIAL! Dance: DJ Martin ‘Liberty’ Larner (Liberty), and residents Little My & High Eight play (grown up) dance music on the multi-sensory dancefloor with glitter cannons, bubbles and giant parachute dance. Stuff: Licensed bar and food from the venue. Theme/Fancy dress: “Superheroes Vs Heroes”. Dressing up is always encouraged!